Reality star Blac Chyna has been accused of promoting self-hate with her new face cream. Blac Chyna is getting major flak for promoting a skin lightening product to African women. 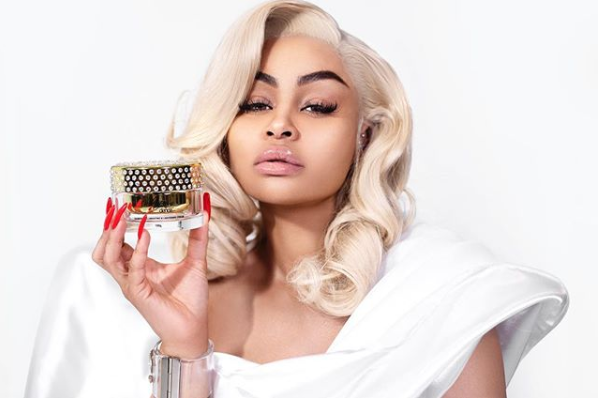 The 'Rob & Chyna' star took to Instagram this week to reveal that she will be travelling to Nigeria to launch her face cream, Whitenicious x Blac Chyna Collection. Whitenicious is a brand started by Cameroonian singer Reprudencia 'Dencia' Sonkey. The "exclusive shopping event" is set to take place on Sunday in Lagos. "Lagos Nigeria, join me at the first official launch of my face cream this Sunday November 25th at the Whitenicious store from 1-5PM. Everyone is invited," she wrote. The comments section on the post was disabled. Blac Chyna, who has been accused of bleaching her skin in the past, has reportedly been using Whitenicious' "corrector" for years. Her new product, which costs $250, has been described as a "diamond illuminating & brightening cream". The product apparently “brightens [and] lightens without bleaching skin out”. But Black Twitter is less than impressed that Chyna is promoting a so-called "corrector". "I’m just going to say it. Blac Chyna is contributing to 2 problems that’s been going on for years: Self hate & colourism. And it’s simply all for money. Smh Damn shame that girl is using her platform for this ignorant mess. Whitenicious? Really sis?" one Twitter user wrote. Another person posted: "How is your name “blac” chyna , but you’re promoting a bleaching cream called whitenicious." Blac Chyna is a person of influence. Wether she got it the right way or the wrong way is immaterial. There are literally thousands of people who will give Bleaching Creams a thought (or a trial) just because people like Blac Chyna endorse it. We can not keep quiet. Dencia, who herself has been accused of drastically bleaching her skin, took to Instagram to defend her product.